In our new and warmly furnished apartments you will feel at home and spend an unforgettable holiday. All our apartments have balcony / garden, sat-TV, studio-couch, microwave or oven, coffe mashine. Our guests get free access to the Mardolomit indoor and outdoor pools in Ortisei. The apartmenthouse "Ansciuda" is situated in a very central position. 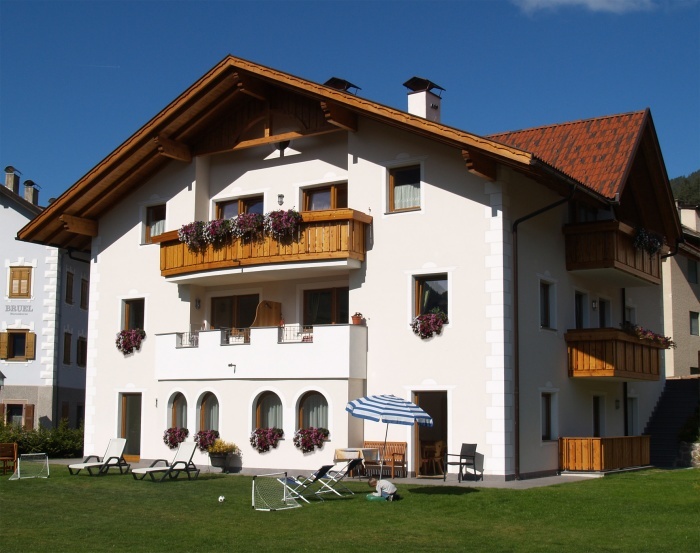 The pedestrian area of Ortisei starts at just 200m from our house and the Rasciesa chairlift as well as the Seceda cableway are at a five minutes walk; the ski bus stops right next to the house.